Welcome to our new videos page. 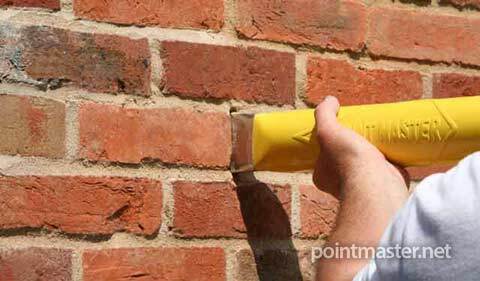 Below is our new, shorter, more concise main demonstration video of the Point Master tool. 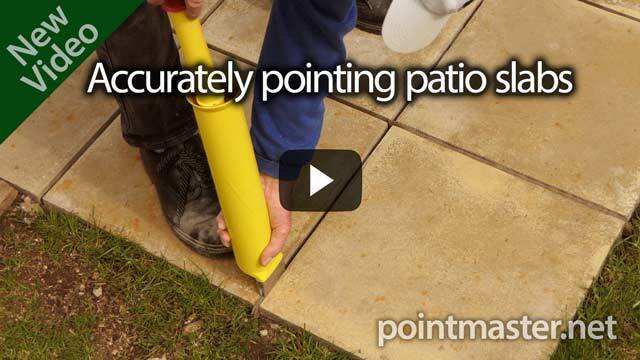 Scroll further down this page and you will find links to our other new videos showing the Point Master being used in specific applications; such as pointing brickwork, patios and paving slabs, deep joints and stonework and others. Shown above is our concise demo of the Point Master. 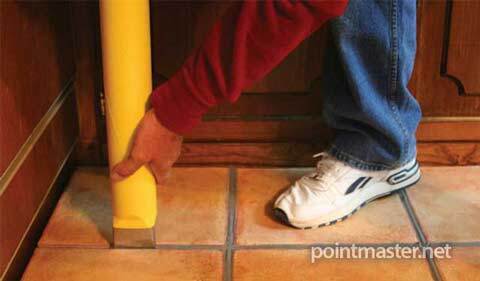 We show the tool being used in different situations, with varying mortar mixes including cement mortar, lime mortar (for heritage repairs) and bagged floor tile grout. 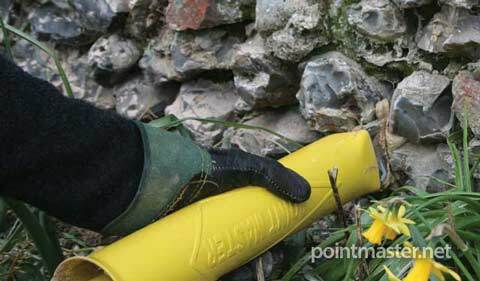 Click any video link below and you will be taken to the specific page relating to that video. 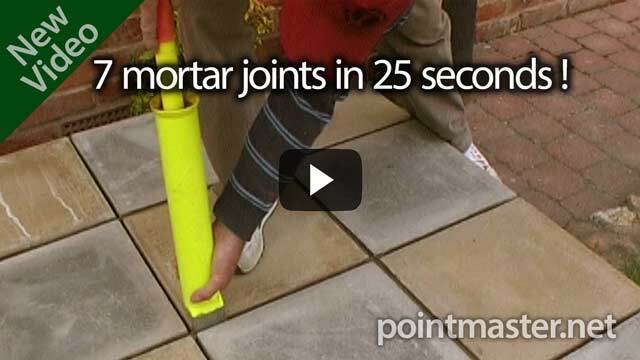 This 2 minute video is in two parts: The first part demonstrates the Point Master completely filling 7x 35cm regular sided paving slab joints in just 25 seconds and with only one fill. 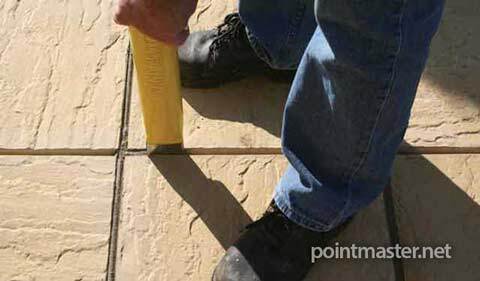 The second part we add sharp sand and small stones into the mix, then re-mix, then reload the tool and continue pointing the same slabs, proving that small stones really won't block the nozzle. 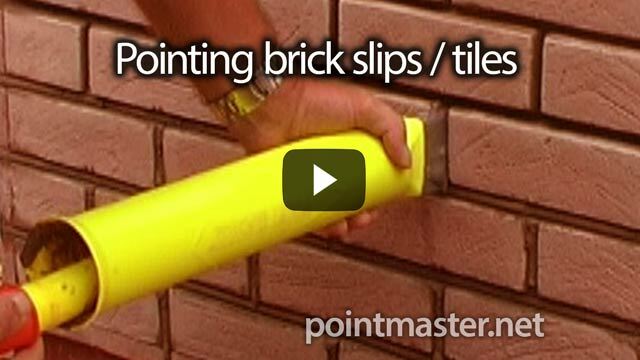 In this 2 minute video we show the speed and accuracy of the Point Master tool when pointing even sided paving joints. 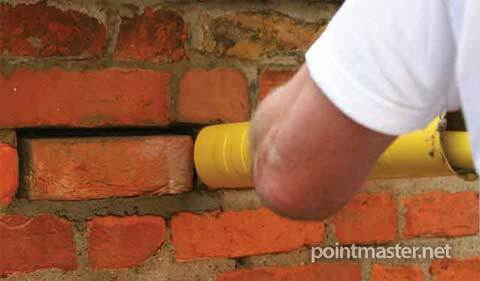 If the joints are even, as we demonstrate here, you can use a continuous sliding technique, pressing the plunger as you move along the joint. This way, pointing takes minutes instead of hours. 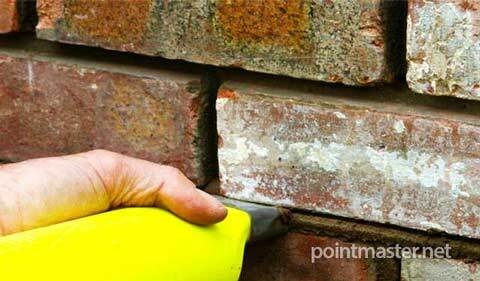 Here we are using a good quality, bagged, ready mixed mortar. 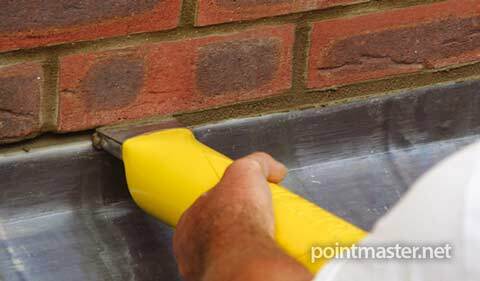 With ready mixed mortars, mixing time should be increased, as the contained plasticiser is a dry powder which may take longer to activate. 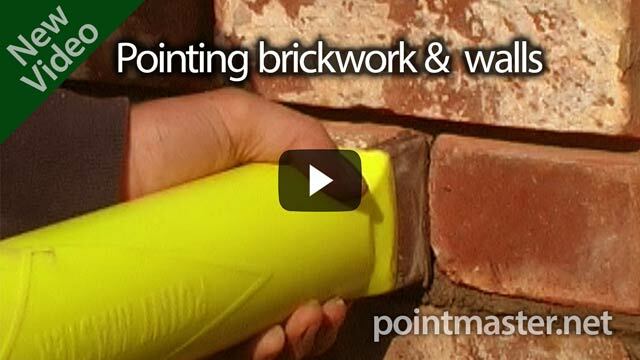 This 2 minute start-to-finish video shows the mix, application and finishing of a reproduction flint wall using the Point Master tool with cement mortar.